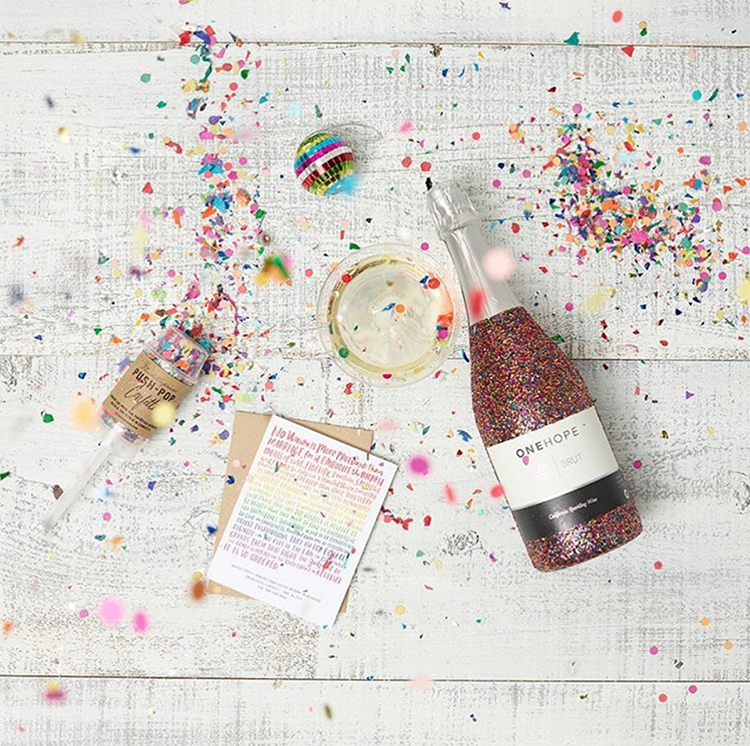 You know you are going to get something GRAND when you mix champagne, glitter and helping others (technically it's sparkling wine since it's from the US, but champagne sounds more fun). 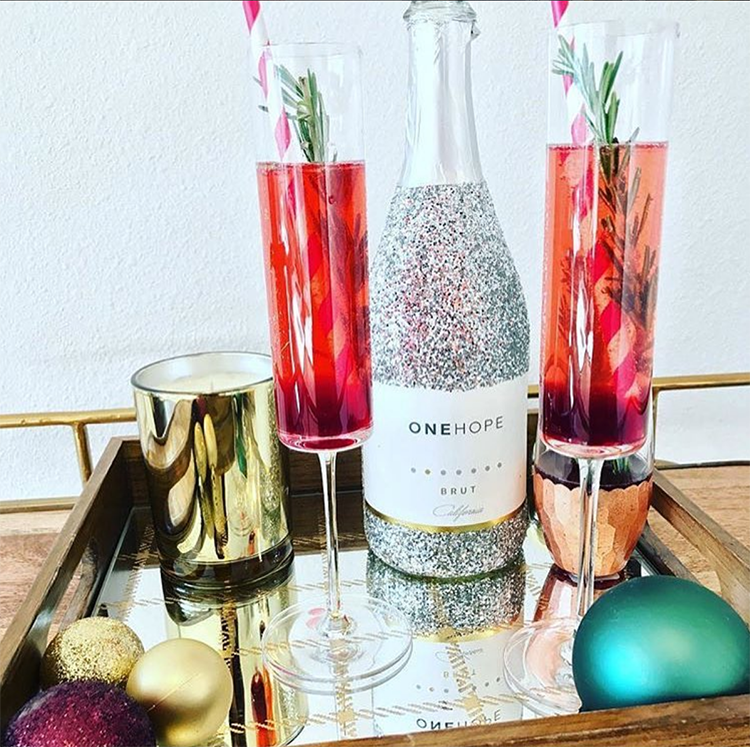 I mean, you really can't go wrong with this mix and this is exactly what One Hope wine has done - something wonderful we can all be proud and excited about. 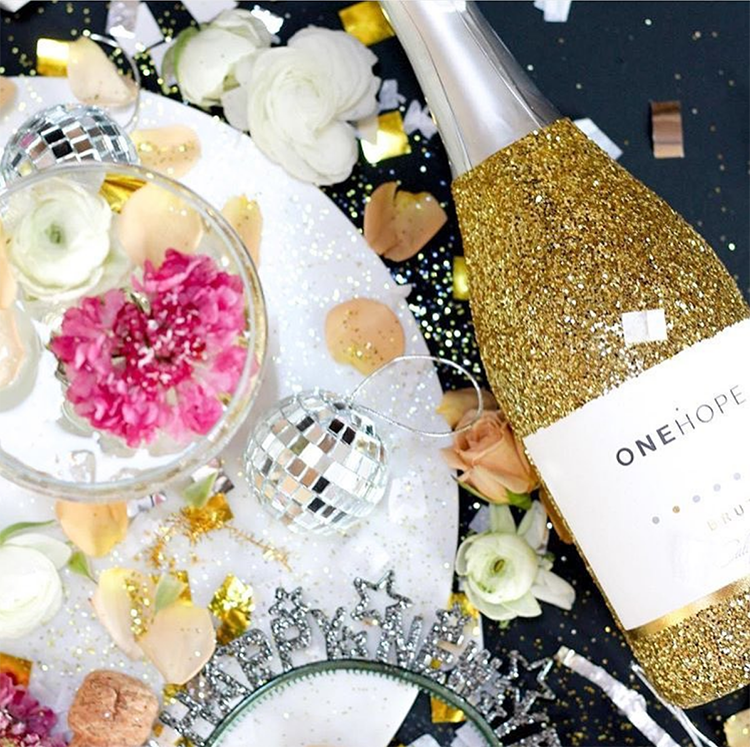 For every bottle of this gold glitter decorated sparkling wine you buy from One Hope you help provide 15 meals to children in need. Now, this is a great reason to celebrate! If you are more of a silver person, they have one for you as well!). 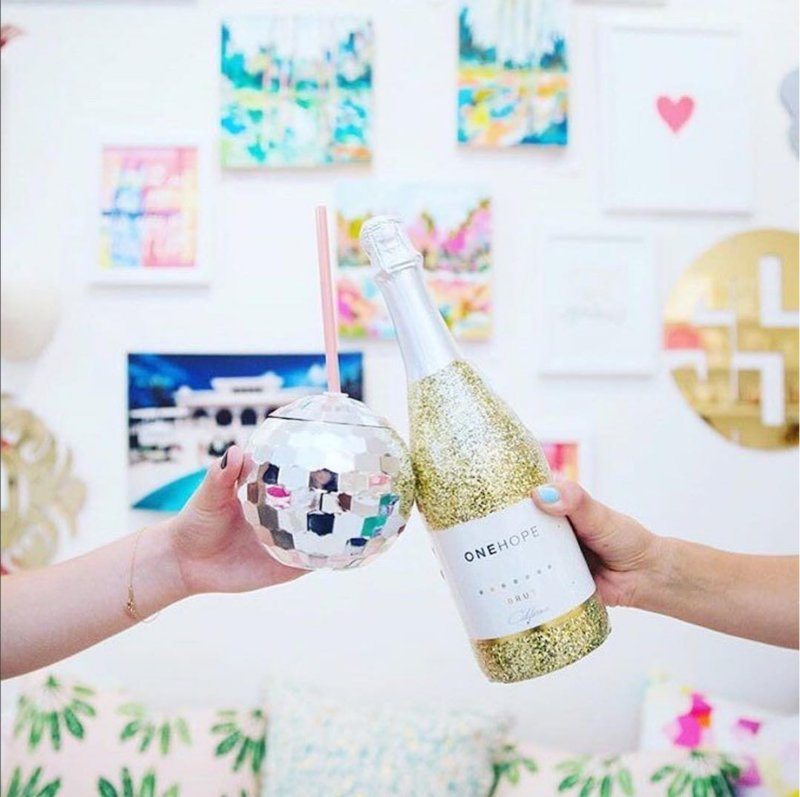 I have to thank Paige Minear of The Pink Clutch, a very fun and stylish blog I love to read, for introducing me to this great brand. 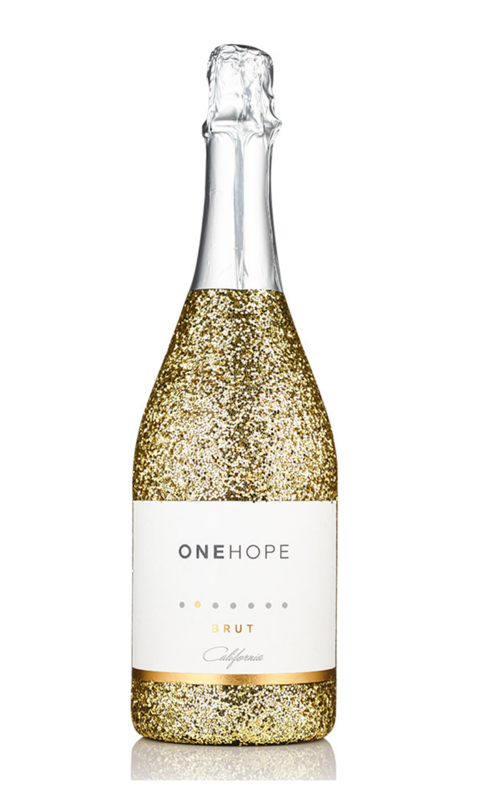 It is not only through One Hope's sales of glitter bottles that they give back, but through EVERY.BOTTLE.SOLD! Each one funds a different cause - from heart disease, to breast cancer, to autism.....the list is long. To date they have donated over $2,000,000 to these varied causes. 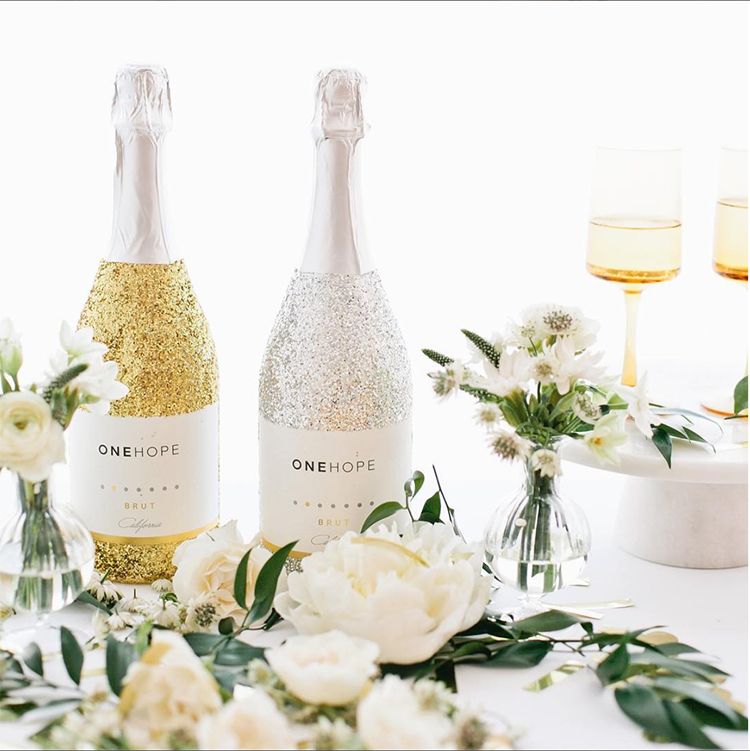 I love how One Hope has built a business that makes the world a better place. Indulge while doing good? I think I can do that. Do you prefer pink glitter? With every two bottles of their California Chardonnay you will help fund a clinical trial for one woman with breast cancer. 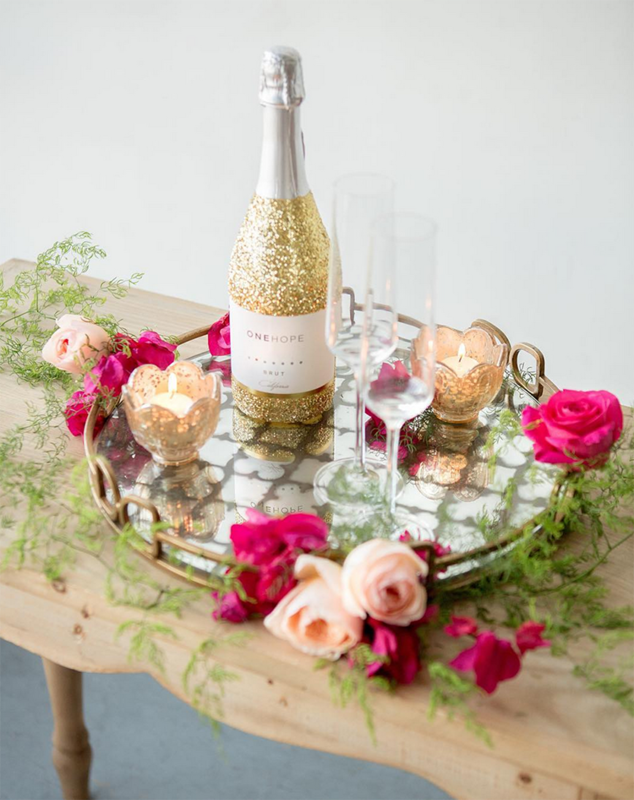 Want something red and sparkly all over for Valentine's? This Edna Valley Pinot Noir is for you. Every bottle educates a family of five on the risks of heart disease. When your favorite color is glitter and you have a heart to help others One Hope's glitter collection is perfect for you! And boy what a compelling and original gift these bottles make?!! The gift that keeps on giving. You don't love glitter that much? Every bottle they sell helps a cause. Take a look! My finger is about to press check-out! What a beautiful cause! Love the glitter!! !